One of the big differentiators between St. Martin and other Caribbean islands is the food. St. Martin is known as the culinary capital of the Caribbean and any traveler there would be missing out if they don’t enjoy some of the wonderful restaurants. 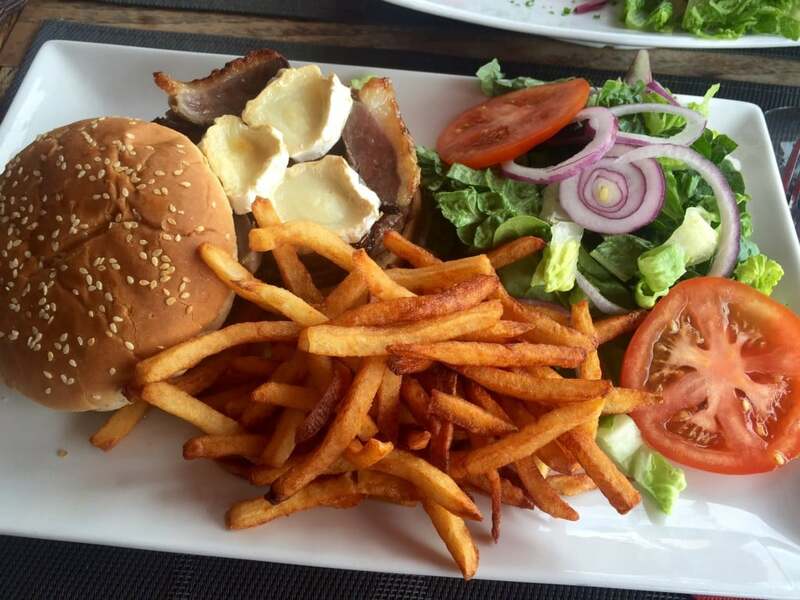 If you are looking for places to eat in St. Martin, check out this list of our favorites. One consistent theme we found was that the portions at most St Martin restaurants were quite generous, so we were able to share, which helps keep costs down. We also noticed that some St. Maarten restaurants would use a 1 to 1 exchange rate for dollars and euro if you used cash – so you might want to also bring some dollars along. We went to Sol y Luna during our second trip to St. Martin. This restaurant was located on the road on the way back to our vacation rental (the Mont Vernon). Anisa had read about the restaurant, and despite the description that it is one of the most romantic places in the Caribbean, we decided to try it. I am so glad that we did! The restaurant itself is gorgeous and very romantic. From the moment you walk past the plunge pool at the entrance, you feel more relaxed. The restaurant is part of a boutique hotel, and it is very beautiful. Our dinner was quite fantastic (we shared the shrimp and scallops), and after our meal, they offered us an after dinner shot of flavored rum. I went with the vanilla rum and it was quite delicious! We had a delicious lunch on the Grand Case Beach at Calmos. The atmosphere here is very laid back and relaxed, but the food is equivalent to what you would get at a fancy restaurant. We sat at a picnic table that was on a pier on the beach and enjoyed a nice, relaxing lunch. We shared cod fritters, a tartare sampler, and a tropical salad. It was plenty of food. This was one of the more casual Grand Case restaurants and one of the few (excluding lolos – more on this later) that was open for lunch. If you are not going to be able to have dinner in Grand Case, I would highly recommend lunch at Calmos. Also, if you have children in tow, this restaurant would be a great way to be able to enjoy a delicious, relaxing meal because your children could play in the sand right by the pier. Update 2/20/18: We are sad to learn that Calmos suffered significant damage from Hurricane Irma and is closed. We hope they will be able to reopen. 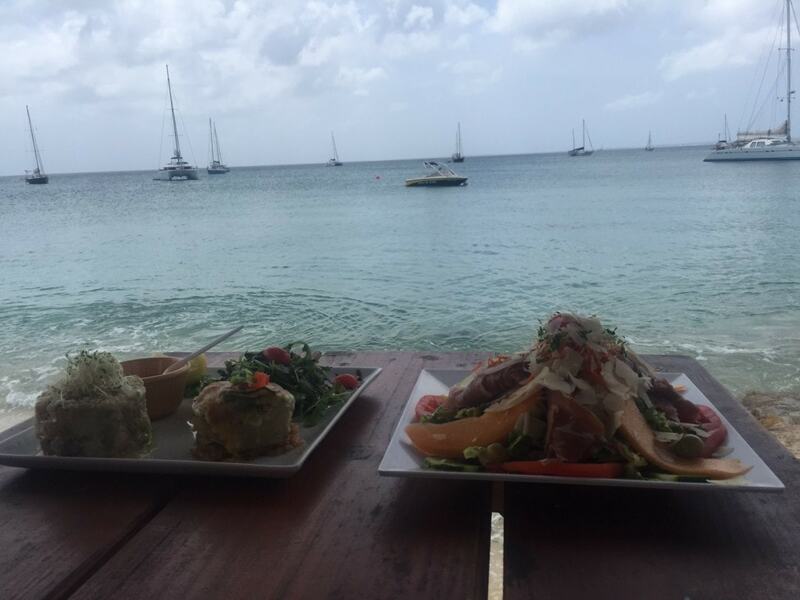 Tartare sampler and a tropical salad, right on Grand Case beach. We had a wonderful meal overlooking the Grand Case beach at Le TasteVin St. Martin. It is a small French restaurant that feels family run. They usually have several daily specials but we just ordered off the regular menu. There were a lot of great options so we decided to share a few things. 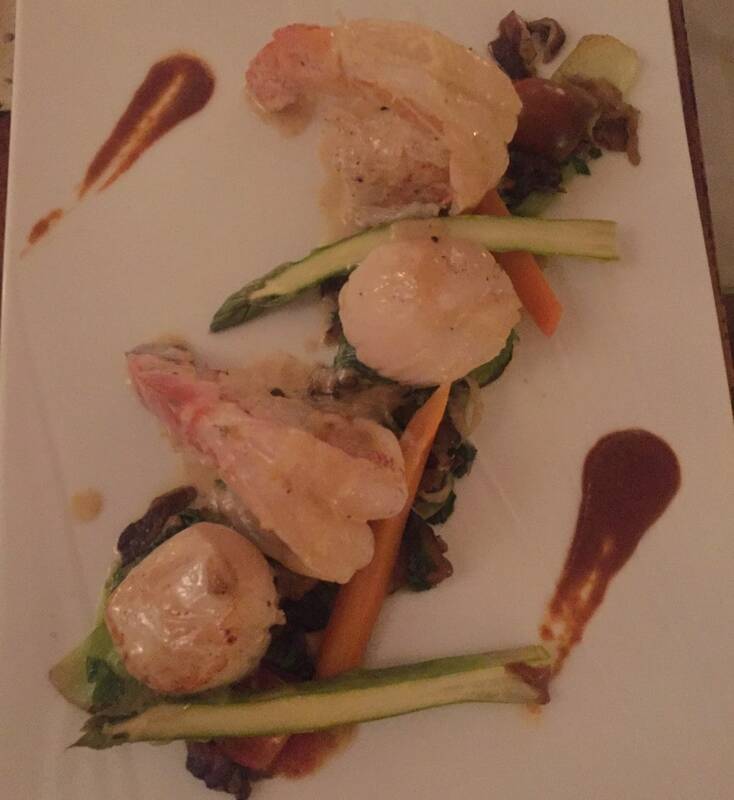 The scallops were presented beautifully and tasted good too. We did save room to have a chocolate cake for dessert. Our waiter made the extra effort to make sure we were having a nice meal. This is definitely one of the best restaurants in Grand Case, St. Martin. La Belle Epoque is located in the small marina in Marigot. There is a parking lot close by the Marigot restaurants, but you should watch out for sketchy characters (even during the daytime). We came to this restaurant on both of our trips to St. Martin, each time after we did our hiking in St. Martin. The first time we went, we ordered way too much food because there are so many good options on the menu. The second time we went, we had to get the beef tartare again. It was really refreshing after hiking in the heat. We also ordered the burger topped with duck and brie, another really delicious dish. The beef tartare here is so good. It’s hard to really tell in this picture, but the portion is huge! Burger topped with duck and brie and of course lots of fries. No room for the salad…. 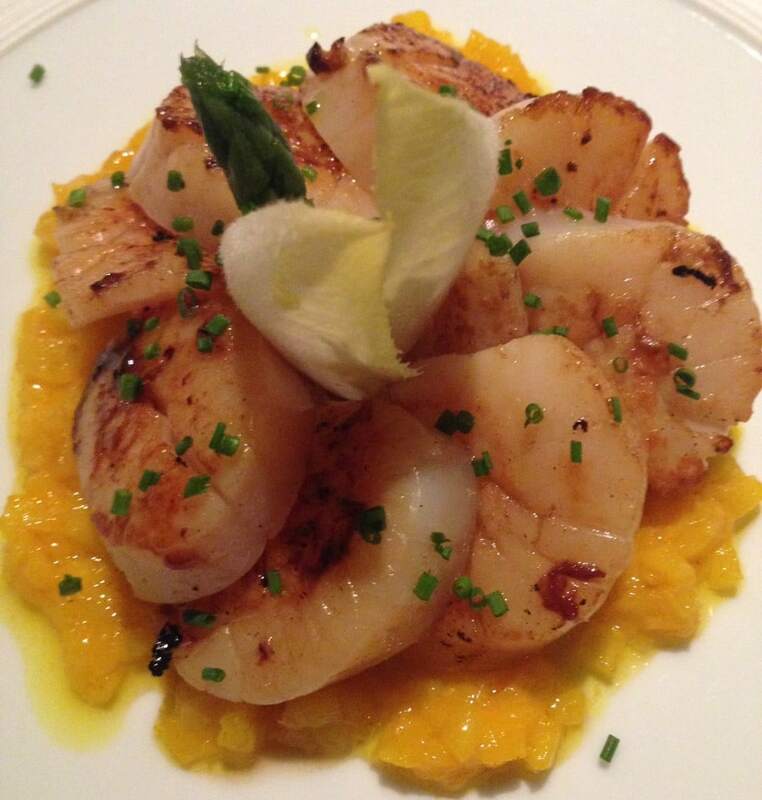 Ocean 82 is another Grand Case restaurant, but we think the food and atmosphere really set it apart from the rest. It is right on the water, so if you time your dinner right you can enjoy the sunset. They also had a nice price fix menu. We had them split it for us and it was still enough food. The summer roll that was our starter was tasty and refreshing. For our main course, we had a seafood soup with a coconut broth, which was excellent. 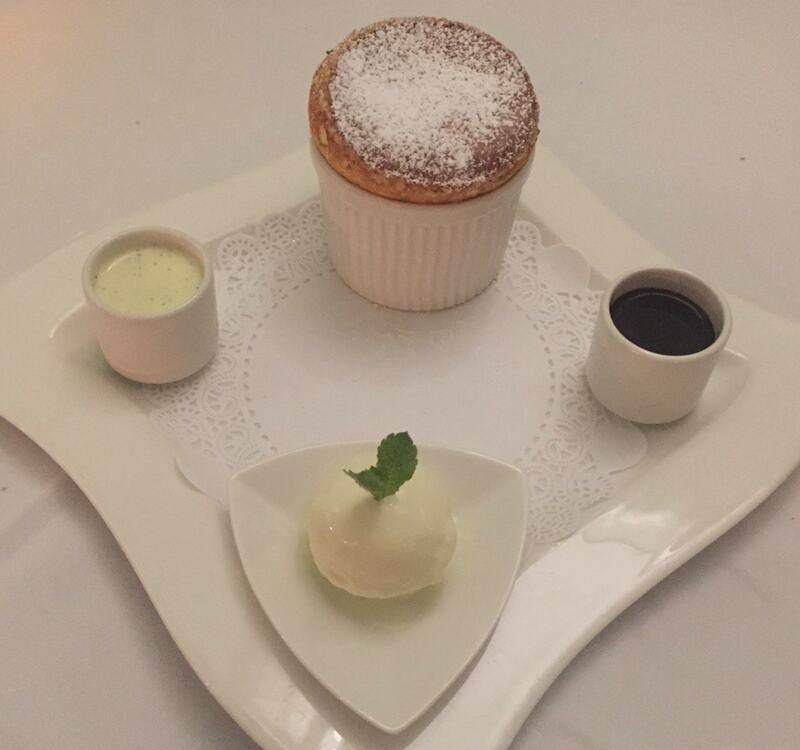 The soufflé for dessert was the perfect end to what was our last dinner in St. Martin. 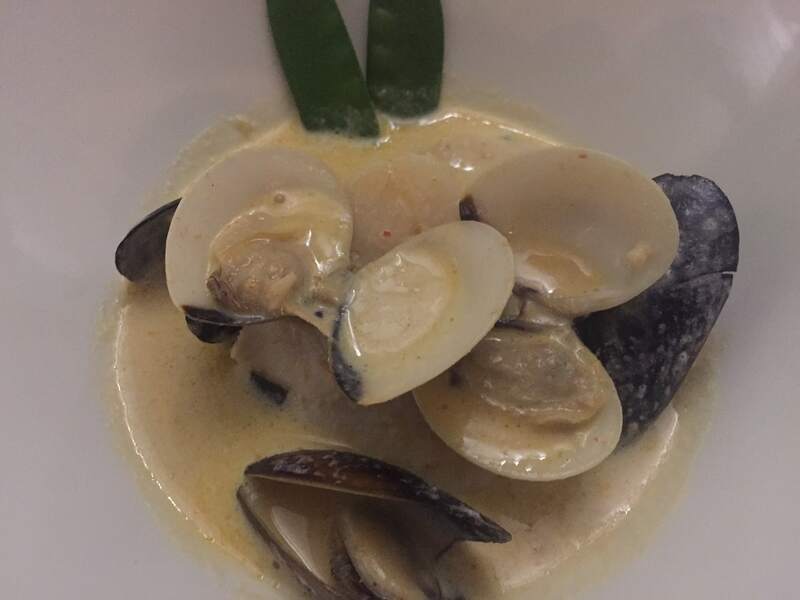 Seafood in a coconut broth, so good! You may also be looking for more budget-friendly options for some meals in St. Martin. One popular more affordable option is a lolo, which is basically a bbq stand. You can find lolos along the roads, but there are also a few in Grand Case. We tried Talk of the Town St. Martin. I had shrimp and Anisa had the mahi-mahi. 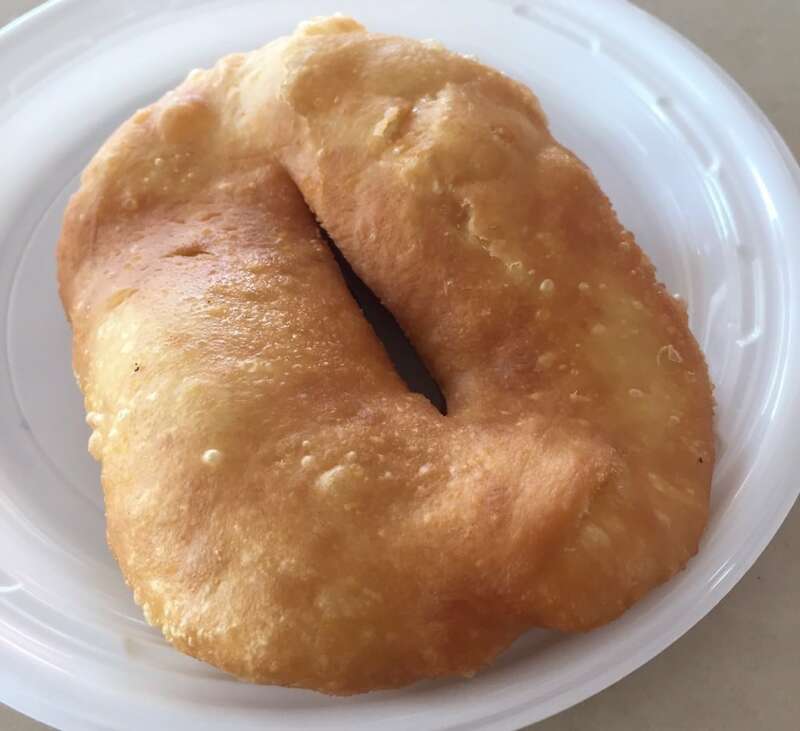 We also tried a johnny cake, a local specialty. I would say the food was average but since it is part of the St. Martin culture, it is worth trying at least once. Also, if you are staying at a vacation rental like we did, you might want to go to one of the grocery stores. Super Marche would be our preferred option. It is located on the French side and has a lot of great French specialties – i.e. wine and cheese – at pretty reasonable prices. We bought the sampler packs of cheeses so we could try three different kinds of cheese. We were able to repackage the cheeses so that they lasted for multiple breakfasts and snacks. Additionally, we bought crackers, bread, sliced meats and an olive tapenade. Each morning we had a delicious breakfast on the balcony overlooking Orient Beach. This was perhaps one of my favorite memories of the trip – what a relaxing way to start each morning (did I mention that a glass or two of champagne was also a part of our breakfast ritual?). 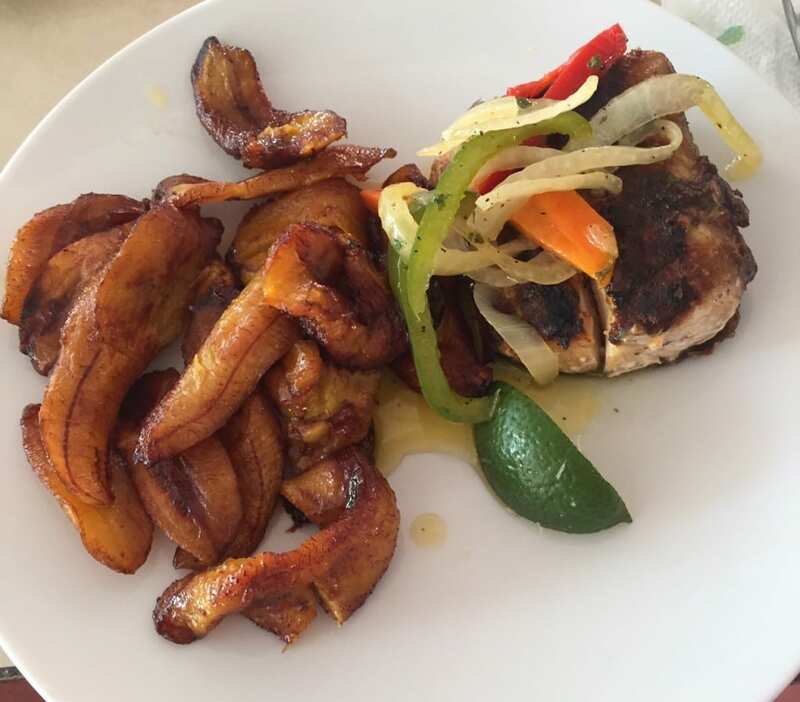 Whatever you decide, with a little research, it is hard to go wrong with the food in St. Martin, so come hungry! We especially loved the St. Martin seafood. While there are wonderful restaurants throughout the island, there are also some that serve generic bar food or casual dining meals (especially outside Grand Case). It would be a shame to waste a meal at one of these establishments when there are plenty of fantastic options for food in St. Maarten. Have you had any St. Martin meals that you have really enjoyed? What do you think are the best places to eat in St. Maarten? We would love to hear about it in the comments. Try as many St. Martin restaurants as possible – so many great options. Share meals as the portions are often pretty large. Bring dollars as you may be able to save on the exchange rate if you have cash. Bring your own bags to the grocery – otherwise, they will charge you. If you need a large shopping cart at the grocery, you will need a euro coin – which you will get back once you return the shopping cart. 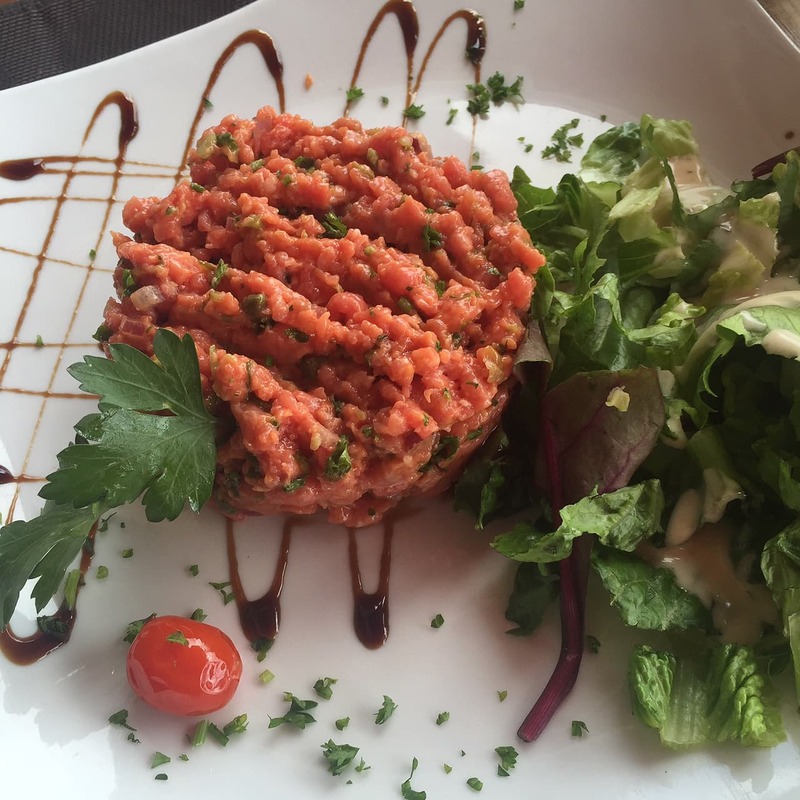 You should try the beef tartare at Les Toqués in Marigot, the best one on the island for sure ! The mati beach is also a really nice restaurant on the french side. Maud – Thanks so much for the recommendations. We will have to try those on our next trip!